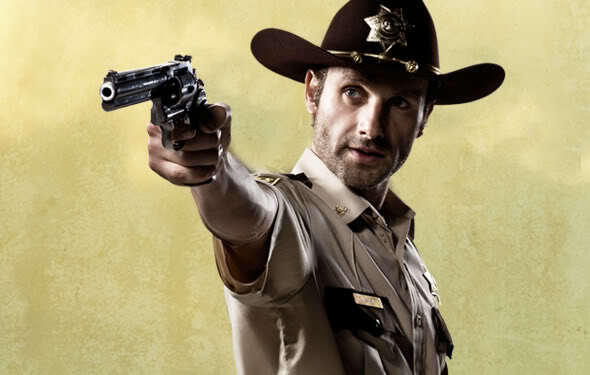 I've been watching the Walking Dead for a few weeks now, and aside from the constant tension between ideals and survival, one thing that's stuck out to me is the undevelopment of Rick Grimes' personal appearance. At the beginning he was a perfectly good-looking man -- clean-shaved, hair cut close, fit as can be. You could say he was an ideal American in both way and form. But then all of a sudden he grew his beard and hair a little longer and now he looks like a mess. From an artistic perspective, having him look like a mess may have been a good idea. People have a way of getting messy when they're falling apart. 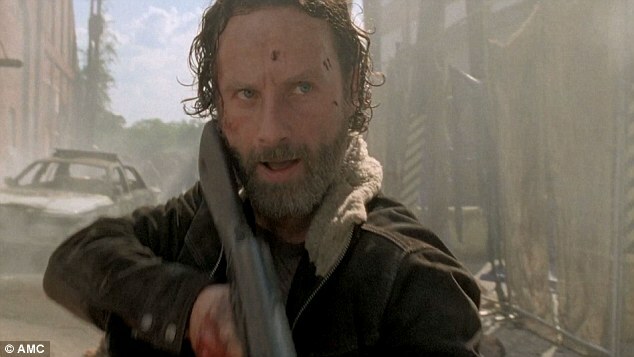 As Rick's emotional state continues to plummet, his physical appearance follows right behind him. If this goes to prove anything it's that not every man looks good in a beard and longer hair. Rick was a very handsome man, and the addition of hair ruined him. Now, some might argue that had his beard and hair been longer and less unkempt, he might have looked better. I doubt Officer Grimes's style was what Lycurgus had in mind when he said that long hair makes handsome men more handsome, and ugly men more terrifying. But it does prove that whatever's gotten into people's heads lately about every man looking better with a beard, it's better that some of us go shaved. Alexander the Great shaved his face in a time of universal beardhood just to prove he was young when he'd conquered the world -- a tactic that made everyone else begin shaving their beards alongside him. Sometimes men hide behind beards because they can't be manly in their behaviors; they think that drinking whiskey and wearing flannel is a good substitute for fortitude and courage and reason. I have a feeling this is the case with a lot of men these days. All beard, no balls. If I felt this way about myself, I would hide my face too. Anyhow, if we really consider the matter seriously, we would know that some men really look worse with beards, just like some men look better in mustaches than goatees, and visa versa. Some beards are just damned ugly; other kinds of beards -- like the infamous neckbeard -- are worn only by nerds and bums; and with some men there's no improvement to be made of their looks whatsoever. This isn't to say that beards don't add a certain charm to a good majority of mankind, which is why they've gotten approval for much of our history; but a herd mentality is really what kills even the best of fashions. People wear something when they don't look good in it, which makes others associate it with looking horrible, which makes vain and handsome men avoid it, which means nobody will be properly modeling it. Fashion, as an exercise in self-love, is just as much running away from the nerds as it is trying to be like the models; but a reasonable and manly position would be I look good in this, not, everyone who wears this looks good. If this wasn't the case, we might as well say that everyone who wears Hanes will look like an underwear model. But I suppose it's better that we wear fashions out so that we can appreciate their reappearance later. Women, on the other hand, recently hopping on the beardlover bandwagon, have gone an entirely different direction. Not only have a good portion of them begun saying that beards make every man look better, but they've begun touting things that from a nearly universal standpoint make women look worse. Obesity is the first thing that comes to mind -- obesity and stretch marks. It's very popular these days for women to say these make a woman more beautiful than or equally beautiful to a woman with an hourglass figure and perfect skin. The only time you can really count on a woman to call someone ugly is when the other woman is actually attractive. They've gotten so insane about it, that they've begun persecuting their own dolls. I have yet to hear a man complain about his action figures being too muscular, but I've heard of many women trying to get rid of Barbie. They say she's unrealistic. I suppose if I started comparing my physical shape with cartoon characters I would feel the same way, but I don't -- because I know what a cartoon is. Of course, nearly everyone knows that in certain periods of mass starvation, obese women were considered beautiful; and I remember Tacitus even arguing that mothers, because they've learned to care for others, are better women to marry than virgins (although he never argued in favor of stretch marks). But if women had a little more sense they would realize they were shooting themselves in the foot. Only unattractive women spend their time arguing about whether or not they're beautiful. Beautiful women don't need an argument: they are the argument. Men will argue over them. Our glances are our votes. A sensible person won't spend any time talking about how his beard makes him more handsome than everyone else, and he won't spend his time consoling women who would do better to lose weight: he'll tell you that if you want to attract someone you have to have something to offer, whether intelligence, wealth, character, handsomeness, or charm; and he'll be perfectly happy telling you that you should be a better man before you try and get a better woman. He knows whether a beard makes him look better or worse. He knows that some women look better with a bit more weight on them, and that other women look better skinny: the right proportion in curves is the key, and he knows the difference between curves and bones and rolls. He's no partisan: he experiences attraction, and calls it what it is. And this is the basis of all rationality: an ability to identify reality for what it is, and our desires for what they want, without having to pretend something else. We would do much better to recognize that we've been falling in love for a long time -- and that the people we fall in love with are almost always less than perfect. I hope you bind these one day. I would love to pass these on to my children and hopefully grandchildren. My son is fifteen. Your letters are a regular read. I am lucky my husband is a strong male figure and a great father for our children. We live on a farm in the middle of nowhere. Farm work is a great training ground for work and life. The only area lacking is contemplation outside of our familiar routine. Your letters are the trail markers I was looking for.